Dancing Aurora Borealis. Photo by Ann Sissel, in Nordlys — Sandnessjøen, Norway on 31 January 2012. Three weeks ago, Sweden and Norway’s far north was treated to a spectacular solar Northern Lights show as the Solar Maximum – a massive storm of solar energy treated stargazers to an incredible Aurora Borealis (Northern Lights) display on earth. Well, I missed the spectacular show but thanks to my friend Ann from Norway shared her photo with me. I further my search, since December 2011 kicked off the start of the northern lights season this year is the best ever according to some Swedish online news. And thing are likely to only get better as scientists predicting a peak in a 11 year cycle of solar eruptions sometime in next year to 2013. An advantage of Sweden and Norway’s geographical location in Scandinavia is its proximity to the Arctic Circle. The lights usually red, green, or purple in colour, they dance and flying across the sky like curtains, lasting anywhere from a few minutes to several hours. So, where are the best places to see the Northern Lights? But what about Aurora Australis (the Southern Lights)? The Southern Lights – surrounding the Antarctic Circle as opposed to the Arctic Circle, one far north and one far south. So I did some research on the Southern Lights, found this gorgeous Aurora Australis (the Sourthern Lights) show appears to float above the nighttime sky captured in stunning time-lapse just outside of Melbourne Australia by Alex Cherney on 22th January 2012. I had a fancy to go see the Northern Lights. But now I’ll jot down “See the Southern Lights” on my travelling bucket list. Hopefully there will be more to come as solar activity peak in 2012-13. 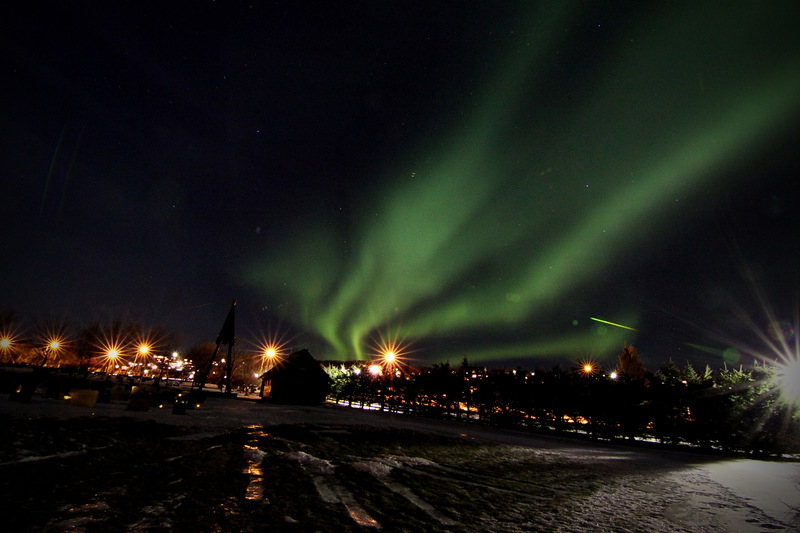 ~ Norway Northern Lights on 24 Jan 2012 http://vimeo.com/36141149 in far north Norway. ~ Red Aurora Australis on 22 Jan 2012 http://vimeo.com/35630244 in Melbourne Australia. ~ Powerful Solar Storms on 24 Jan 2012 http://youtu.be/ft6iTXfMssQ in Sweden.